Lobbyists and their employers reported spending nearly $300,000 during the 60-day session that ended Saturday – and that’s just the spending that totaled more than $500 at a time. State law requires lobbyists to report any spending of $500 or more within 48-hours. All told, lobbyists and employers reported spending $295,300 during the session. This session, that included spending on meals, receptions, teddy bears and more. More lobbyists will report individual expenditures under $500 at a time in reports to be filed May 1. This story is part of a reporting partnership between New Mexico In Depth, KUNM and NMPBS that attempts to pull back the curtain on how the New Mexico Legislature works and, in some cases, doesn’t. From 2011 through 2014, lobbyists and companies spent nearly $2 million on elected officials, with expenses ranging from meals to event tickets. 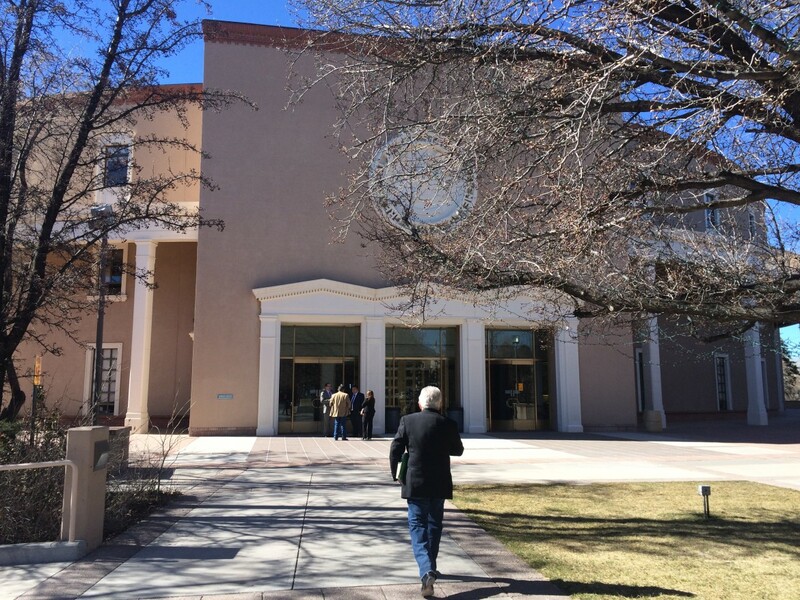 The biggest spender during the session was Common Cause New Mexico, which paid more than $86,000 for advertisements and phone calls to support bills that increased lobbying and campaign contribution regulation. A bill that would have required disclosure of independent expenditures by nonprofit groups died. The measure to regulate lobbyists was watered down and is on the desk of Gov. Susana Martinez. Instead of requiring lobbyists to disclose the issues they’re working on or the amount they’re being paid, it now simply requires the Secretary of State to improve its website for lobbyist reporting. And a measure to ban lawmakers and other government officials from lobbying for two years died in a Senate committee. Second on the list of big session spenders was the New Mexico Golf and Tourism Alliance, which spent $25,000 on golf passes for lawmakers, while Steven Henke spent more than $22,000 on a reception sponsored by the New Mexico Oil and Gas Association. New Mexico In Depth will examine additional lobbyist spending reports when they’re filed May 1. State lawmakers gutted a bill attempting to bring sweeping reform to lobbyist regulations that place New Mexico in poor standing nationally by transparency standards. Here’s a step-by-step narrative how legislators did it.